Entertaining, Humorous, and above all, Approachable. Money guru Jill Schlesinger helps listeners take control of their financial lives and better understand all-things-money. Jill On Money is entertaining, humorous, and above all, approachable. 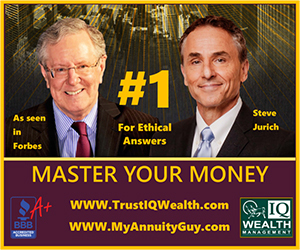 The show appeals to anyone who wants to know more about money, regardless of asset level. Jill is great with callers and has a special knack for synthesizing complicated economic and financial concepts. All of Jill’s insights, opinions, and perspectives are firmly grounded in her mission to entertain and enlighten.